So, a couple of months ago I ordered a few products from Dresslily.com. After about a month of waiting, the items finally arrived! Dresslily is a leading international online fashion clothing and accessory store. They offer everything from gorgeous Women's Clothing, Intimate Lingerie, Bags, Women's Shoes, Wigs, Fashion Jewelry and Accessories, and many more fantastic items at super affordable prices. Would you believe me if I told you, that I got all three items for less than $20 dollars? Yes, that's right. My total amount was only $19.00+ and the best part is, they offer FREE Shipping Worldwide to more than 200 countries! I won't keep you waiting, here's what I got. 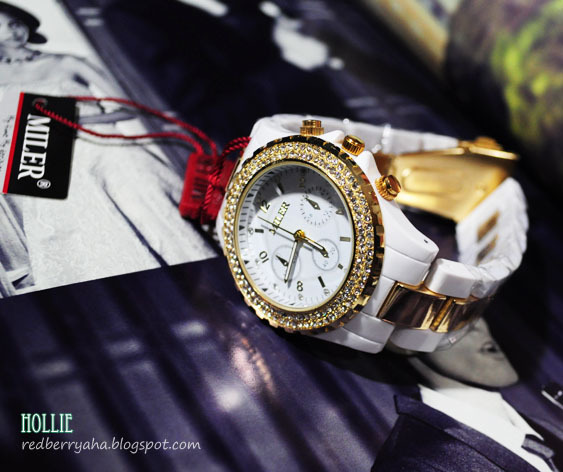 So, the first thing I bought from the site was this Fashion "WoMaGe" Rhinestone Decoration Oversized watch. I liked how this looked in person, unfortunately both the long and short hand were already broken when it arrived. huhuhu... I had this checked and the cost for repairing it is just the same as buying a new one since this only cost around $4. So, I didn't proceed with having this repaired. 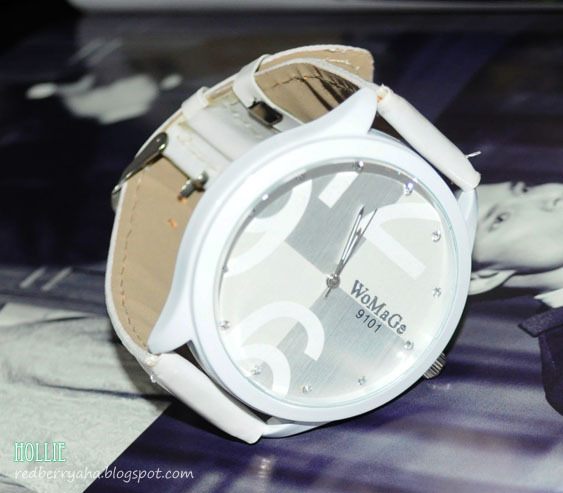 The next thing I got from the site is this fashion Miler Quartz Watch with Steel and Plastic Watch Band for Women in White which only cost $9.48. Now this is another story. I already wore this watch twice and my friends noticed it right away. They kept telling me how nice it is and that it looked fancy. They couldn't believe me when I told them it was sold for less than 10 bucks. I find it very pretty and elegant as well. Good thing, it arrived in great condition. Overall, the whole process of ordering from Dresslily.com was very fast and easy. My only complaint was the broken watch. I wished it came in great condition too, then everything would have been great. They offer really beautiful pieces at an affordable price. If you don't mind waiting 30 days for your orders to arrive, then I suggest you check out the site. I'm sure you fashionistas will have a blast browsing through the site. If you are more interested in clothes, swimwear and handbags I'd suggest you give stylewe.com a visit. They're fabulous. Disclaimer: This website sent me a $20 voucher to try out their products. However, this has not affected my views and opinion about their services. I remain honest and truthful about my experience throughout the entire post. I've done a giveaway for Dresslily.com before, but never got to try their shopping. :) I like the top you got. :( Sayang the watch! @Diana and @AVA, yeah too bad the watch was already broken. They didn't pack the items well. So, I was already half expecting that something might be broken when their crappy looking package arrived. 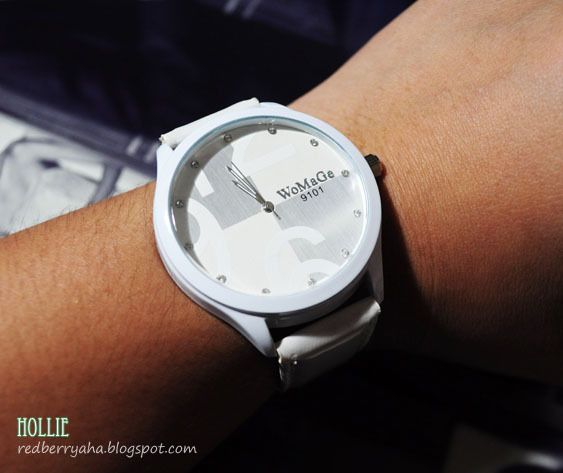 Ang fishy naman nung watch! 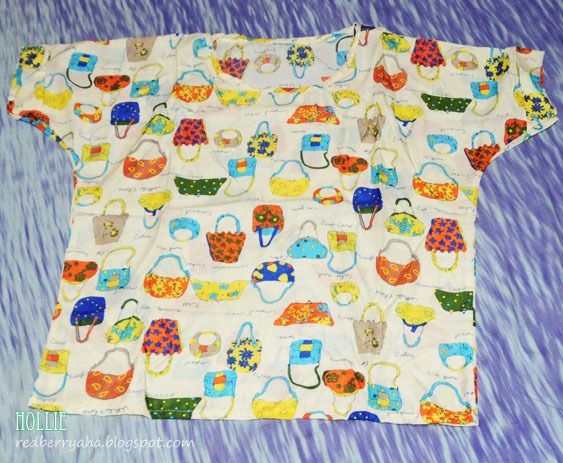 But I love the bag shirt, hihihi! This is reminds me why I don't buy watches online. I noticed some online shops have smaller sizes sometimes too. I guess this is normal for online shops that caters the Asian market. I like white watches too.. I mostly buy white watches that I even go stall by stall to find the perfect watch for me. @Ile, yeah true that. I didn't expect much from them talaga. @Hazel, that's my fave pick from this package! it's look really good on person. and yes, so true, plus hassle to pickup packages from the post office pa, with taxes and fees. that's some nice stuff that you picked out. I love the white watches here. too bad there's a broken one- that's the thing about some of these sites is that the photo always look better than the product! !